Having spent many hours on a golf course looking for my golf ball, I am possibly not the most well placed person to make a great opinion on the just starting US Open. As a result I decided to enlist the help of a friend who plays regularly and was witness to my only eagle ever on a golf course (He also witnessed when I almost albatrossed once!). Ross is an avid golfer (a pretty good one too!) and a huge golf fan and he shared his thoughts with us on the looming US Open. The sun breaks the horizon in the east, you look at your caddie and smile, “give me the driver” you say as you line up your shot from behind the ball with eager anticipation. You approach it with the precision of a leopard stalking his prey. You settle into your stance and away you go… Straight down the middle. This is possibly the greatest feeling you can experience in golf. The professionals feel no different and hope this is a reality come the first round of a major tournament. 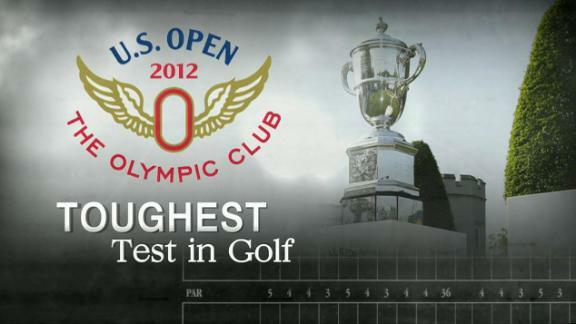 And it is with this eager anticipation that we await the 2012 US Open, arguably the toughest major on the tour roster. The venue for this year’s gladiatorial challenge, The Olympic club in flamboyant San Francisco, will not disappoint. In the last staging of this event at this famous club, not one player in the field managed to break par with only Lee Janzen going on to match par. In the process he beat the ever charismatic Payne Stewart to win his second and final major. The course that greets the current crop of professionals is almost an un-changed layout from the course which was refurbished in 1927. The only change being the addition of the 200 yard par 3 8th. This is sure to test all. The holes that interest me however are not on the front nine, but rather the last three holes. These include two par 5’s and a short par 4. Whoever masters these three holes on Sunday will definitely be in with a shout come closing time. The first par 5 is certainly a three shot hole, even for the longest hitters in the game. It is the longest hole in US Open history. Will the USGA decide to play from the forward tees on Sunday, I doubt it. The final par 5, playing as a par 5 for the first time, is definitely reachable in two and could provide lots of drama with the potential for eagle, but also disaster! The hole has been made more challenging by moving the tee 20 yards left creating a much more difficult angle. Hit the fairway and you have every opportunity of going for the green. The final hole is a short par 4; however a premium must be placed on accuracy off the tee. Look for players to hit a 3-wood of the tee, especially the longer hitters. The second shot is semi-blind played to a small target with severe rough surrounding the green. A tough hole to make par when the pressure of a major title is on the line. The course is sure to play its part in the drama that is the US open, but what about the players? With the landscape of modern golf ever changing after the Tiger Decade, there are now a dozen or so truly great golfers with the chance to win any major they tee up in. With the likes of World Number One Luke Donald, defending champion Rory McIlroy and a resurgent Tiger Woods in the field it is sure to be a humdinger. Before I move into the favourites for the week, we should first talk about the hottest news on tour. Andy Zhang, a 14 year old from China has been given a wild card entry into the tournament after the withdrawal of Paul Casey. What an opportunity! I would certainly have given almost anything to be in his position. Yes I am green with envy. While I don’t think he will be in the mix come Sunday, he is certainly someone to watch for the future and we will monitor his progress in the coming years. But who do I think will be lifting the trophy on Sunday? The big question will surely be to begin? This year alone has seen, among other great moments, Tiger shoot a final round 62 and lose to a solid Rory McIlroy at the Honda, a superb final round from Matt Kuchar to win the Players and who can forget the chip in by Tiger at the Memorial, described by the great Jack Nicklaus as the greatest shot he has ever seen, to win the tournament. Each of these three players has a great chance of winning this week, however having watched Rory since the Honda he does not seem to be in the best of form, lacking consistency and doubling the last hole at the St Jude classic last week doesn’t fill me with confidence. That being said he put a final round disaster at the Masters last year aside in romping to victory at last year’s tournament. Outside chance to win. 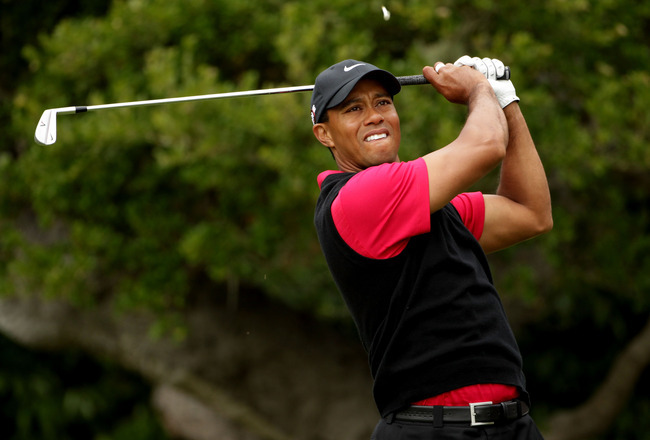 Tiger has been slowly working his way back to form since his fall from grace in 2009. With two wins under his belt this year, he is surely confident of teeing it up. I do feel that the Olympic Club is not a course he will fancy as there is a premium on driving accuracy. Not a strong suite of the current Tiger swing. However his mind seems to be back where it once was and this has always been his strongest attribute. If he is within two shots of the lead going into Sunday, then you have to look out for the Tiger Charge! Although Matt Kuchar played exceptionally well at the Players and has a very consistent swing, I think the US Open presents a different prospect and will look to see Matt challenge for the title on Sunday, but fall away. So who else stands a chance? As I said earlier there are over a Dozen players who can win and we would dearly love it to be a South African. This year has seen three South African’s challenging for a title only to be beaten into second to the heartbreak of many. From Louis’s loss at the Masters, Ernie losing in a playoff to Jason Dufner and to Rory Sabbitini’s collapse at the memorial it has not been a good year for our home grown talent. While I believe that Louis and Charl will challenge this week, I don’t believe that they will walk away with the title. Ernie and Retief will have to roll back the years and surely putt better than they have in the past few years to challenge for the crown. The up and coming Brandon Grace will be playing in his first US open courtesy of three wins on the European Tour and is surely playing inspired Golf. While a talent to watch for the future, it is surely a bridge to far to win on debut. So who will reign supreme? Maybe it is my heart talking but I believe that it is the time of Luke Donald to step into the big time. He has elevated his game to new levels and continues to play some exquisite golf, winning the European Tours flagship event the BMW championship at Wentworth only a few weeks ago. He is one of the best putters in the game and poses Jedi like skills in getting up and down from just about anywhere. On a course where finding the fairway and silky putting is a must I have to back Luke to win. Provided he can contain his nerves and focus on the job in hand. He has the game, but does he have the bottle as Sir Nick Faldo puts it. Other notables to watch; Lee Westwood fresh off his win at the Nordea Masters, Dustin Johnson the winner of the St Jude Classic, Adam Scott and the ever present Phil Mickelson. It promises to be a battle Royal at the Olympic club this week. So the only thing to say is sit back, relax and enjoy the drive!